Samsung Galaxy S8 launch: Here’s everything you need to know! Last night, Samsung unveiled the Galaxy S8 and Galaxy S8+ at a glitzy and occasionally surreal event in New York. Expectations were high for the S8, especially after the Galaxy Note 7 recall debacle last year, but did Samsung deliver? Here’s everything you need to know about the Galaxy S8. The S8’s headline feature is the ‘Infinity Display’, an expansive screen that wraps around both sides of the device and has practically no bezels at the top of bottom. Both models have the Infinity Display, hence Samsung dropping the Edge branding, although the S8 has a 5.8” screen while the S8+ has a huge 6.2” screen. The Infinity Display looks nothing short of fantastic, displaying content in vivid clarity and giving the S8 a truly unique look. Whip this out at a party and you’re bound to draw a few curious admirers! Yep, the physical home button is a goner. The Galaxy S8 boasts an iris scanner which lets you unlock the device and confirm transactions using your ‘eyeprint’, a process Samsung described as “the most advanced form of security out there”. It also has facial recognition, although that somehow doesn’t seem as cool as an iris scanner. As you might expect, the Samsung Galaxy S8 has both a rear and a front-facing camera. However, both have received something of a boost from last year’s model. The 12MP rear-facing camera now has a dual pixel sensor and a multi-frame processor, which can combine multiple images to form the best possible photo. The front-facing camera, meanwhile, has been boosted to 8MP and has face-detecting autofocus to take your selfie game to the next level. Smartphone manufacturers typically get through the battery part of their presentations as quickly as possible. After the Note 7 disaster, though, Samsung were naturally keen to promote the extensive 8 point battery check they’ve implemented for all their devices. The S8 and S8+ have slightly different batteries: 3000mAh and 3500mAh respectively. Both should, hopefully, hit the market without any of the Note 7’s shocking issues. Just weeks after Apple unveiled the surprisingly colourful red iPhone 7, Samsung have taken things back to basics. The S8 is available in three colours: Midnight Black, Arctic Silver and Orchid Gray. Simple, classy and stylish (although you can always put a garish case on if you want). Another personal assistant is probably low on people’s smartphone wishlists, but Samsung’s first effort looks genuinely impressive. Described as a “new type of interface that learns, evolves and adapts to you”, Bixby is able to understand context; if you ask it to ‘send this to my mum’, it’ll take whatever you have on screen and email it to your mum. Pretty cool! It’s also able to ‘see’ stuff using your camera. If you point your phone at a landmark, Bixby will give you more information. It’s also able to translate signs in a foreign language and give you more info on restaurants, shops and so on. The Samsung Galaxy S8 officially hits shelves on the 28th April. However, you’ll receive it a week earlier (21st April) if you pre-order! Amazing technology isn’t cheap, so it’s no surprise that the S8 has a pretty steep price tag. The standard model will set you back £689, while the S8+ will cost £779. Basically, it won’t be cheap even if you sign up to a 24 month contract. We can help you upgrade though: sell your mobile phone with musicMagpie today and we’ll pay you on the same day it arrives! Samsung also used the event to launch DeX, a dock that can connect the S8 to a monitor, keyboard and mouse to provide a full desktop experience. It sounds perfect for people who prefer to do their work on a big screen rather than their smartphone, although Samsung have yet to announce a release date or any pricing. It may be included with certain S8 bundles though. 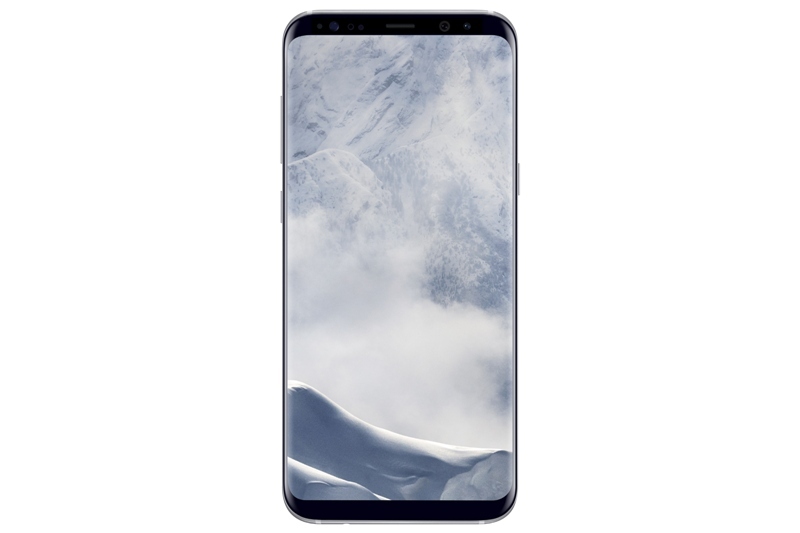 If you’re planning to upgrade to the Samsung Galaxy S8, why not sell your Samsung Galaxy, iPhone or Android device with musicMagpie? It’s fast, easy and totally FREE: just get an instant price for your device, send it for FREE and we’ll pay you on the same day it arrives. Plus, you’ll be covered by our price promise. Why wouldn’t you? ← What happens to your phone after you sell it to us? And how do we refurbish phones ready for sale? Find out in this video!